Yesterday as I was driving to Cincinnati my car passed 150,000 miles. It is a milestone worth noting. 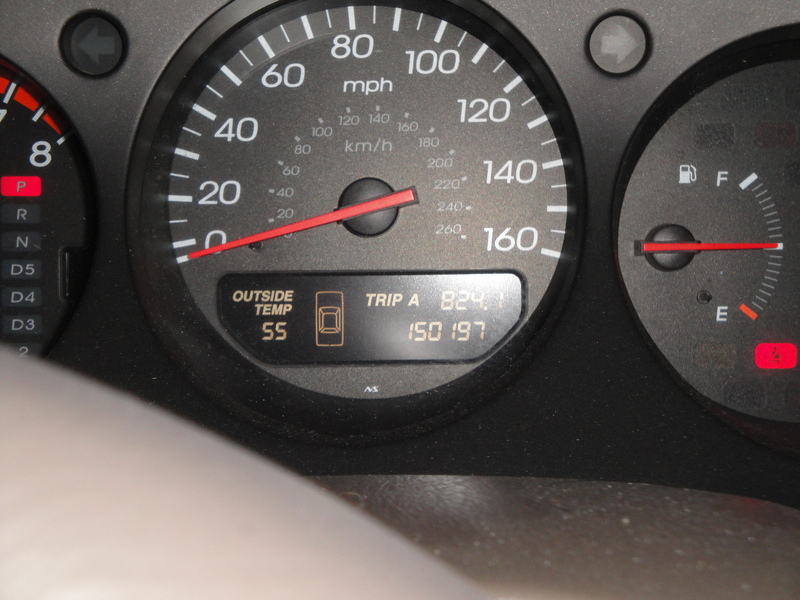 My car is a black 2003 Acura sedan, and its condition reflects the mileage. After all, 150,000 miles is a bit more than 3.5 circumnavigations of the Earth. The side doors are pitted and pockmarked, the inevitable result of countless dings suffered from parking in tightly packed garages. The windshield has a chip or two, and the hood has uncomplainingly borne the indignity of innumerable bird droppings and scratches of unknown origin. Yet still the car sits in the driveway — battered, yet triumphant and ready to serve, having survived to roll on and on where many of its fellow graduates of the class of 2003 have long since been consigned to the scrap heap. The inside of the car feels as comfortable as an old shoe. The seat and rear view mirror are positioned just where I want them. I know every inch of the interior. I love and trust this stalwart, dependable vehicle because I know it will faithfully take me where I need to go (and with pretty good gas mileage, too). I want our mutual journey to continue. My next goal is 238,857 miles, which is the average distance from the Earth to the Moon. This entry was posted in Family and tagged Acuras, Automobiles, cars, Family, Family Cars by webnerbob. Bookmark the permalink. Only once have been driving about the milage You just made. That was with my first car which I bought in 1972. Nowadays I am driving about 94000 miles. I wish to You and to Your Car happy milages!!! On the way to your new goal, you will pass a milestone – the point at which the earth’s gravitational pull, and the moon’s much smaller gravitational pull, exactly offset each other. My quick research indicates this is about 200,000 miles from the surface of the earth (when the earth and its moon are at the average distance apart). Newton’s third law thus provides an opportunity for an additional point of celebration.